Syrian Kurdish fighters have detained two British men infamous for their role in ISIS killing of Western hostages, American officials say. Jihadi John, one of the "ISIS Beatles"
Syrian Kurdish fighters have detained two British men infamous for their role in the Islamic State’s (ISIS) imprisonment, torture and killing of Western hostages, American officials told The New York Times on Thursday. The men were part of a group of four ISIS jihadists known as the “Beatles” because of their British accents. Officials identified the two men captured as Alexanda Kotey and El Shafee Elsheikh. They were the last two members of the group to remain at large. The group's leader, Mohammed Emwazi who was known as “Jihadi John, was killed in an airstrike in 2015 in Syria after an intensive manhunt. 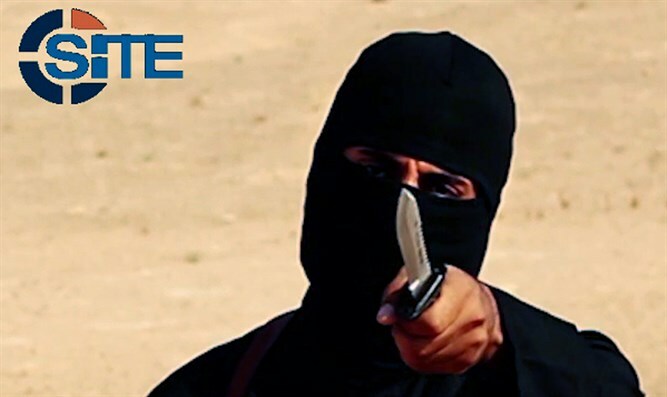 “Jihadi John” was seen in ISIS videos showing the beheadings of journalists James Foley and Steven Sotloff, British aid workers David Haines and Allan Henning, and Japanese hostage Kenji Goto. A fourth member of the so-called “Beatles”, Aine Davis, is imprisoned in Turkey on terrorism charges. All four had lived in West London. Kotey, born in London, is of Ghanaian and Greek Cypriot background, while Elsheikh’s family fled Sudan in the 1990s. Both men have been designated foreign terrorists by the United States. The British extremists were known for their brutality. They repeatedly beat the hostages they kept imprisoned in Raqqa, Syria, formerly the Islamic State’s self-declared capital, and subjected them to waterboarding and mock executions, noted The New York Times. The American government says the group beheaded more than 27 hostages. According to the State Department, Kotey “likely engaged in the group’s executions and exceptionally cruel torture methods, including electronic shock and waterboarding. Kotey has also acted as an ISIL recruiter and is responsible for recruiting several UK nationals to join the terrorist organization.” ISIL is another acronym for the Islamic State. Elsheikh traveled to Syria in 2012 and joined Al-Qaeda in Syria before aligning himself with ISIS. “Elsheikh was said to have earned a reputation for waterboarding, mock executions and crucifixions while serving as an ISIS jailer,” the State Department said. Kotey, 34, and Elsheikh, 29, were detained by the American-backed Syrian Democratic Forces, a Kurdish-led militia, which is fighting the last pockets of Islamic State insurgents in Syrian towns and villages along the Euphrates River south to the border with Iraq, according to the New York Times. American officials were informed in mid-January that the militia might have captured the men. Their capture and detention was described to The New York Times by several United States officials who spoke on the condition of anonymity because details of the case remain secret. Cmdr. Sarah Higgins of the Navy, a Pentagon spokeswoman for detention policy issues, declined to comment.